Here's the bodice of the dress. 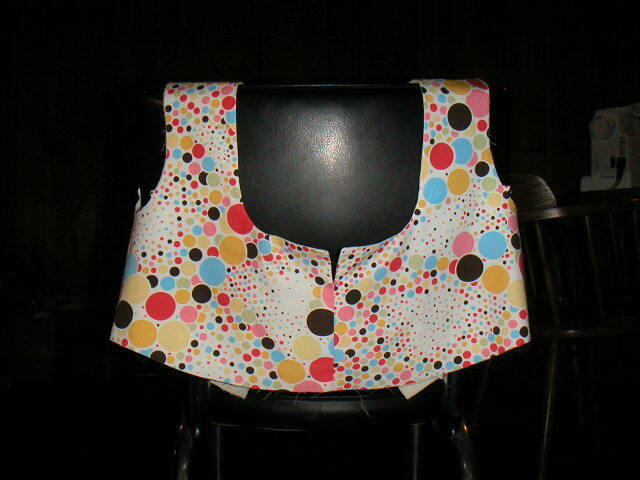 I was able to sew the lining to it this morning and iron it before heading to work. I may have already mentioned that I have used the pattern previously for the sleeveless version of the dress. The details I particularly like are the short split in the middle of the neckline in front and the gathers that will be at the bottom of the bodice where it connects to the skirt. Gigi update: Should be dry by tomorrow and ready for pictures!